A Little More About TreeHugger Forestry. TreeHugger Forestry was established in 2004 in Walkertown, North Carolina. The company is a family owned and operated tree farm. Our mission is to provide our customers with beautiful hardwood flooring and other wood products, while using truly sustainable and environmentally friendly practices to harvest and prepare the wood. 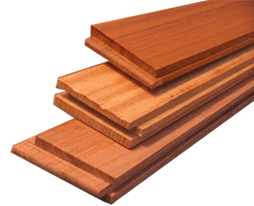 We make it our goal to bring you beautiful products that are grown, harvested, kiln dried and turned into tongue & groove wood flooring, countertops and molding right here in Walkertown, NC. Right from our backyard! Wood is a beautiful yet limited resource on this planet. Trees are vital to our eco-system because they keep our air breathable and play an important role in maintaining bio-diversity. Treehugger Forestry knows that we can enjoy the benefits of wood products without damaging our environment nor endangering our children’s futures. Through caring stewardship of our land and resources, we provide valuable wood products without the costs associated with traditional forestry and logging techniques. Treehugger Forestry is a beacon of light in an industry too often looking for fast profits without regard to the ramifications. If you want to know your wood and feel confident that you are making the right decision in your wood purchases, choose Treehugger Wood products. It does a planet good! Find out more about our company and our environmentally sound practices below.